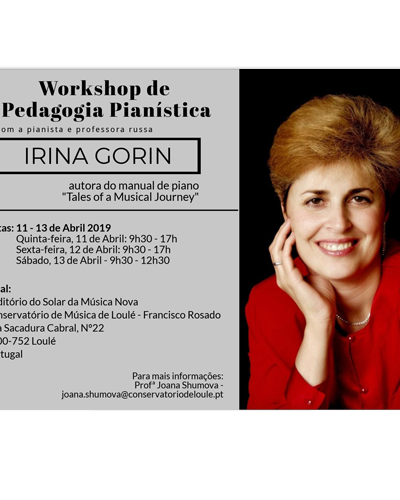 This workshop offers three days with Irina Gorin. 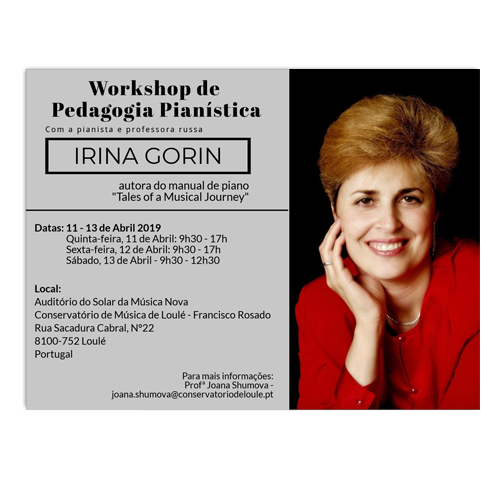 You will participate in music teaching activities, learning and understanding her philosophy / concepts that provide the foundation to develop musical ability and healthy technical habits during childhood piano lessons. 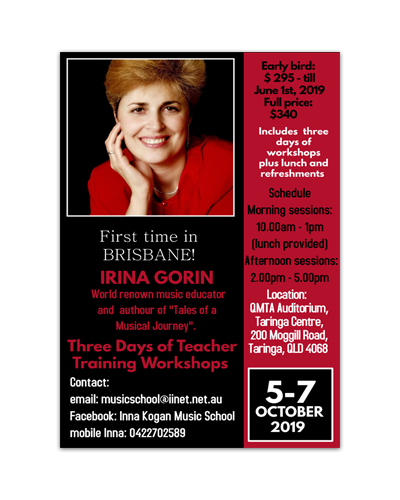 The completion of this three-day workshop will give you the knowledge, confidence and tools to become a “Tales of a Musical Journey” teacher and be ready to start teaching with this curriculum immediately in your studio! Tales of a Musical Journey has been successfully adopted by piano teachers in 50 states in the USA and 58 countries throughout Europe, Asia, Australia and Africa.